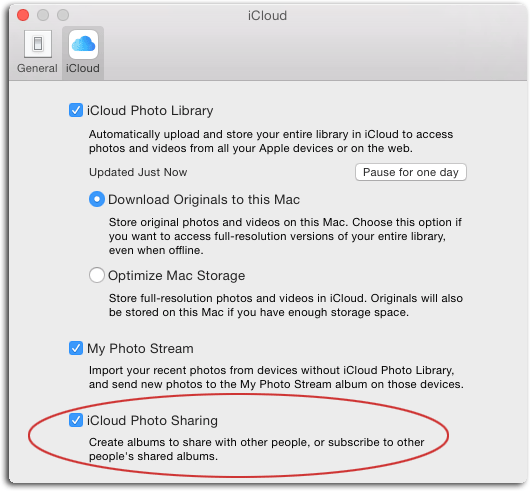 iCloud Photo Sharing is the perfect way to share photos among friends—without the use of social media. 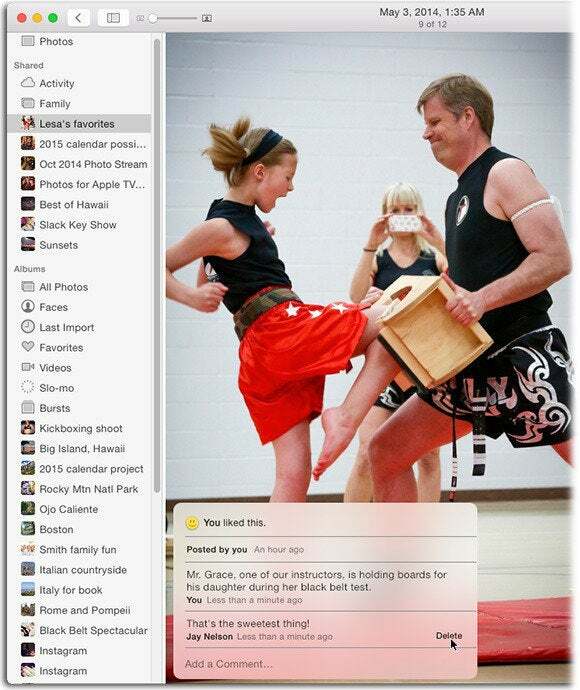 iCloud Photo Sharing is a wonderfully private way to share digital memories with certain people. When you create or subscribe to a shared album, it appears on all of your devices. And since iCloud Photo Sharing doesn’t count against your allotted storage space for free iCloud accounts, it doesn’t cost you a penny! To start the sharing spree, turn on iCloud Photo Sharing on all your devices (this has nothing to do with iCloud Photo Library). 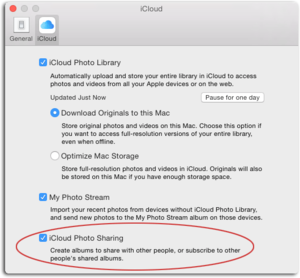 In Photos for Mac, choose Photos > Preferences and in the iCloud pane, turn on iCloud Photo Sharing. On an iOS device, tap Settings and then scroll down until you see Photos & Camera. Give it a tap and on the next screen, tap the switch next to iCloud Photo Sharing (it turns green). 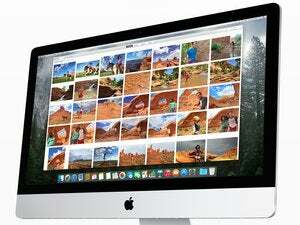 The iCloud pane of Photos’ preferences holds the key to turning on various iCloud services. 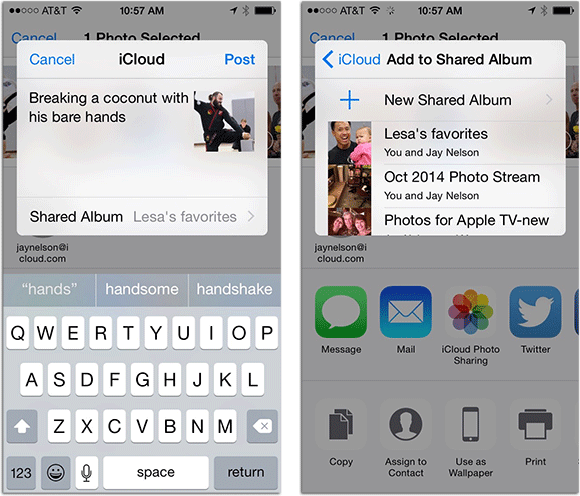 Creating (and adding content to) shared albums is mercifully simple. In Photos for Mac, select an album or some thumbnails. 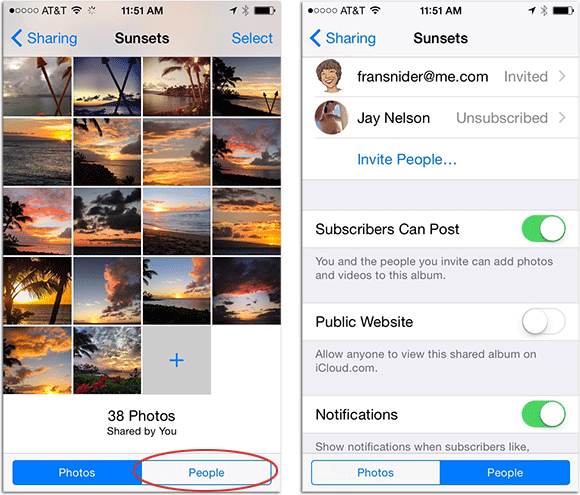 Click the share icon in Photos’toolbar and choose iCloud Photo Sharing. In the resulting sheet, click New Shared Album, and then on the next sheet, name the album and invite someone to subscribe to it by entering their name, email address, or cell phone number into the To field. In the Comment field, enter a description of the goodies you’re about to share. 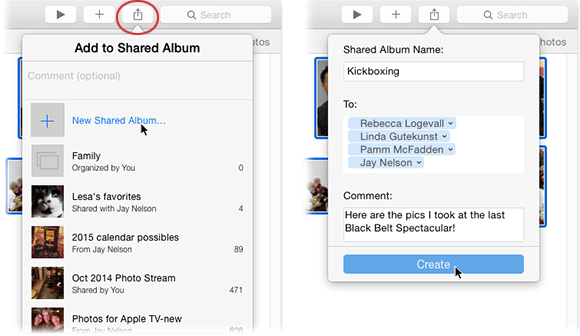 The sheet at left lets you create a new shared album or add selected items to a previously shared album. When creating a new shared album, you can use the sheet at right to name it, invite people to it, etc. When you’re finished filling out the all the fields, click Create. Your invitees promptly receive an email invitation to subscribe to your album. 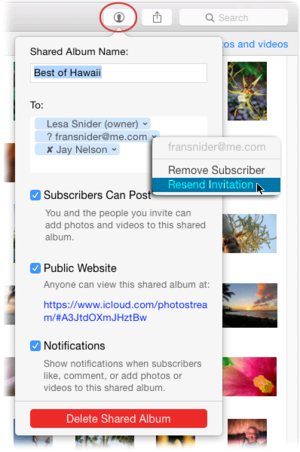 Once they click the Subscribe button in the email, the shared album appears in Photos’Shared view on all the devices on which they’ve turned on iCloud Photo Sharing. Creating a shared album in Photos for iOS works the same way, though you can’t select a whole album for sharing: You have to select individual thumbnails instead (bummer!). On the first sheet that appears (left), you can enter a comment and then tap Shared Album at the bottom to summon the next sheet which shows a list of shared albums (right). To like and comment on an item in a shared album in Photos for Mac, open the album, double-click a picture or video and then click the “+” icon that appears in the picture’s lower-left corner (it looks like a thought bubble). When you do, the comment sheet shown below appears. Click the smiley-face icon to like it, or click in the comment field and enter something pithy. Click Send, and Photos adds your comment to the list. To delete a comment, point your cursor at it and then click the Delete button that appears. To like an image or add and view comments in Photos for iOS, tap to open the shared album, and then tap the picture itself to open it. Beneath the picture, you see controls that let you like the image, view comments, and add your own. To delete a comment, tap and hold your finger down on it, and then tap the Delete button that appears just above the comment. Photos also helpfully collects all your sharing updates in a special Activitiesalbum in Shared view in both Photos for Mac and iOS. This album houses big, beautiful thumbnails of the most recent additions to each shared album, as well as comments and likes—it’s a great way to breeze through shared content to see what everyone is up to. 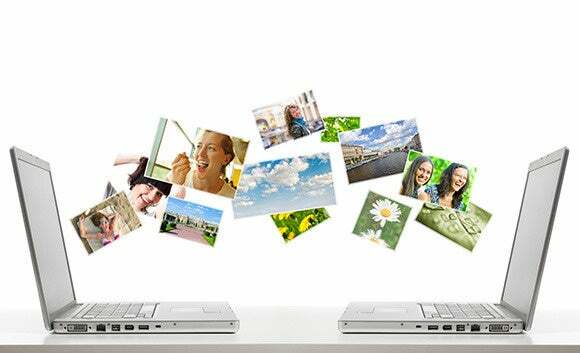 In order to edit or use a shared photo in projects of your own, you need to download it. On your Mac, Control-click a thumbnail and choose Import from the shortcut menu. Photos dutifully adds the item to your Last Import album, where you can treat it like any other picture or video in your library: Edit it, add it to another album, include it in a project, and so on. To download content in Photos for iOS, tap the image thumbnail to open it, tap the share icon that appears, and then tap Save Image from the row of icons that appears at the bottom of your device’s screen. A bonus (and semi-hidden) feature of shared albums is that you can let any subscriber add their own pictures and videos to the album. This creates an incredibly convenient, two-way sharing between you and your subscribers. To set it up in Photos for Mac, double-click a shared album to open it or, if you have the sidebar turned (Option + Command + S), just click the album’s name in the Sharing section to select it. Next, click the subscriber icon in Photos’toolbar (circled below). In the sheet that appears, turn on Subscribers Can Post. This sheet lets you perform all manner of subscriber-related chores. A question mark to the left of a name means that person hasn’t responded. In that case, you can resend an invitation, as shown here. An X next to a name means that person unsubscribed from the album. To do this in Photos for iOS, tap Shared at the bottom of your screen and, if necessary, tap the Back button at upper left to close the shared album you’re viewing so you see thumbnails of all shared albums. Next, tap the album you want to grant uploading permission to—you’ll see the album’s thumbnails (shown below at left). Tap People at the bottom right and in the next screen (shown below at right), tap the Subscribers Can Post switch to turn it on. When you open a shared album in Photos for iOS, the buttons at the bottom let you switch between viewing thumbnails (Photos; left) and the people you invited to the album (People; right). When viewing People, you can manage subscribers and allow them to post content to the album. You can also create an empty shared album that you, or others, can add content to later. This is handy when you want to set up a shared album for a far-flung friend or relative that they can put stuff into. To do it, just don’t select any images before you create a new shared album. Be sure to give the recipient(s) permission to add content the album and you’re good to go! All in all, iCloud Photo Sharing is a heck of a lot of fun and the perfect way to share pictures with folks who aren’t on Facebook or who aren’t particularly tech savvy. (You can also use it to create public websites, which is fodder for another column.) Until the next time, may the force be with you all!